A drop in homes available for sale, rising prices and mortgage interest rates may have played a role in sales of existing homes finishing 2018 slightly above 2017. 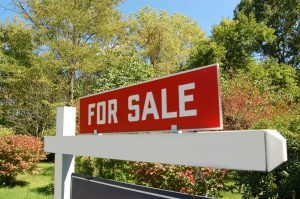 The Greater Northwest Indiana Association of Realtors reported sales of existing homes in the greater Region area totaled 10,849 in 2018, up 1.6 percent from 10,683 closed sales logged in 2017. The association’s service area includes Jasper, Lake, La Porte, Newton, Porter, Pulaski and Starke counties. The median sales price and prices sellers received for their homes saw increases in 2018, when compared to 2017. The average median sales price was $165,000, up 6.5 percent from $154,900 in 2017. Shrinking inventories and rising prices traditionally have motivated buyers to make a purchase over fear that options could become more limited and list prices could continue rising. The association said sellers on average received 95.3 percent of their list price, which was a 0.5 percent increase from the previous year. For the month of December, closed sales in the greater Region area totaled 780, a 5.2 percent drop from 823 closed sales recorded in December 2017. The median sale price of homes was $161,000, up 7.3 percent from $150,000 in December 2017. Sellers in December received 94.5 percent of their list price, a 0.2 percent increase from December 2017’s figure of 94.3 percent. New listings for 2018 totaled 14,035, which was 2.7 percent down from the 14,426 homes listed in 2017. Available homes for sale in December totaled 2,924, down 8.1 percent from 3,181 available for sale in December 2017. The association said pending sales in December totaled 633, down 8.1 percent when compared to 689 in December 2017. The average sales price for homes in December was $185,000, up 7 percent from December 2017’s average price of $172,979.